James A. Garfield High School is a diverse school of about 1,620 students. Which is located in 400 23rd Ave Seattle, WA 98122. It was formerly known as East High and was built in 1923. There are many science classes offered, many of which are related to aquaponics such as AP Environmental Science, AP Biology, etc. I have always been interested in plants and how they operate. I’m intrigued and curious as to how these studies and experiments are being created and implemented to sustain the natural resources of the community. I believe this is a great opportunity to innovate new ideas and ways that will help my community build more secure natural resources. It reminds me of my lifestyle back home in the Philippines where my family is involved in agricultural businesses like farming and fishing. I want to help people all over the world. 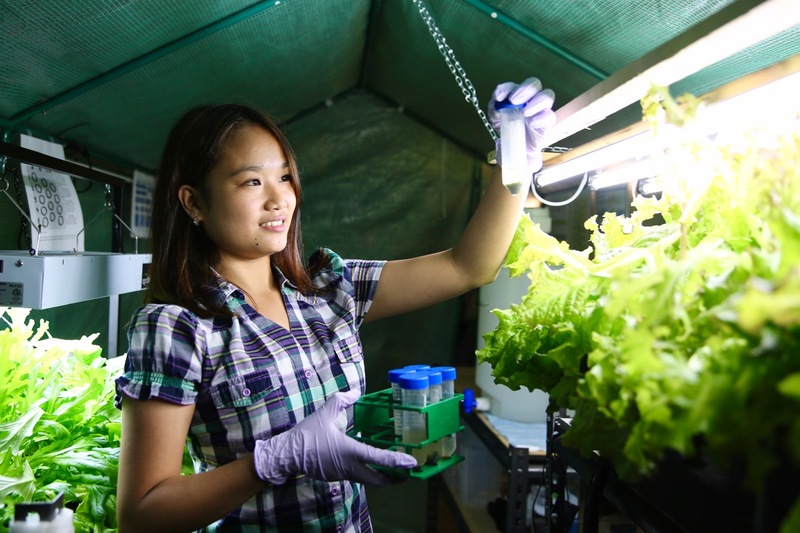 Knowing that some countries like Haiti, North Korea, and Zambia are experiencing scarcity among their natural resources, it inspires me to learn more about aquaponics and other studies that will contribute and guarantee greater access to nutritious foods for every nation. I’m planning to share what I’ve learned from previous experiences and this PF1010 internship. One of my mottos in life, “Sharing is caring”, explains what my overall goal is. I want to be able to share the knowledge that I have harnessed about the possibilities of creating healthy alternatives to create a more secure and bright future for everyone. I believe that these experiments should be inclusive and that it should be shared with as many people as possible. Such experiments are life changing. Propose a plan to organization that wants to build aquaponics by presenting. Then, educate students, staff, and teachers about sustainable aquaponics and how it’s very significant when it comes to food security. Then, train students, staff, and teachers on how to manage aquaponics. After that, help them build their own aquaponics or how they can integrate it. I will be also asking the person who manage the aquaponics in our school greenhouse, if we can take over or manage it.